For those of you who prefer a white background for your marketing logo, our Rico pen is also available with a white body. 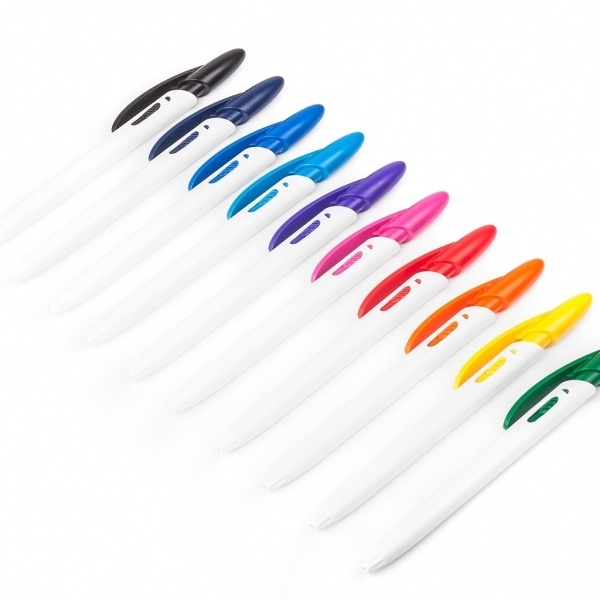 The Rico White pen retains the bright splash of colour of the rounded clip and click mechanism, whilst allowing you to apply a more detailed or high-contrast design to its body. A pen that looks fresh and clean.